I started off with the Hoppers sampler and was grossly unimpressed. I managed to get a peek at the brewery thanks to my new friend Brock. He gave me a sample straight from the fermenter of their famous Double Black. This was a delicious beer. Despite the black label, this beer is not so bold or overpowering as I first thought. It was, in fact, so drinkable, we returned later in the week to have a few more. He also gave me a fermenter sample of their seasonal pilsner. 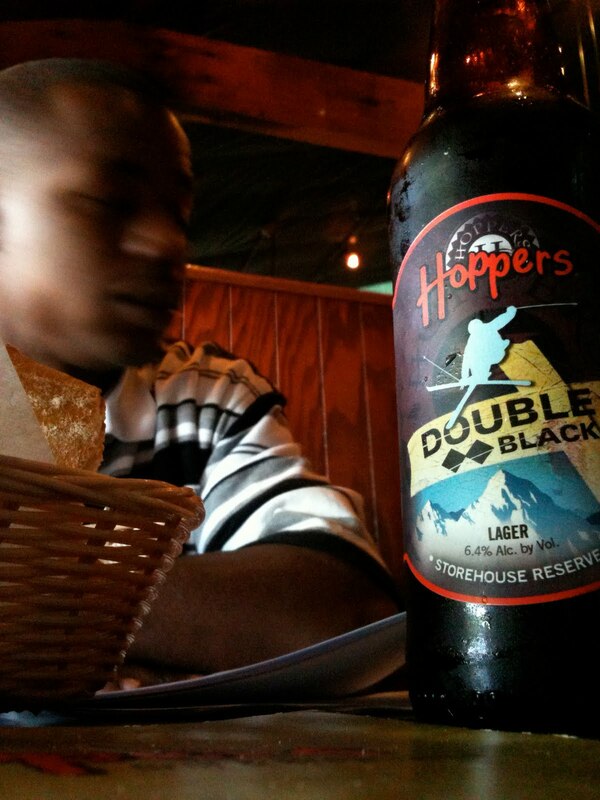 Again, such a pleasant surprise compared to the light bodied beers in the Hoppers sampler. 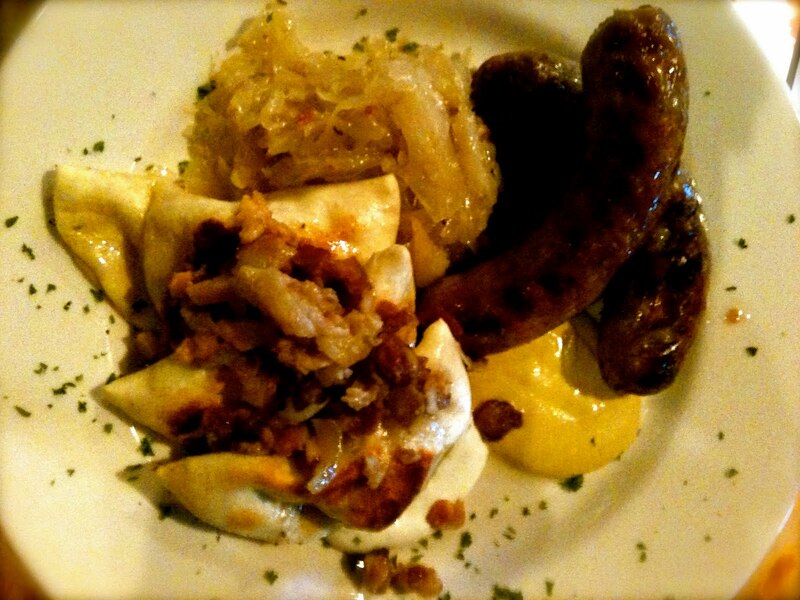 Go there, drink these beers, and get the onion rings- they're killer. The first thing I noticed about the Bohemian is their strict adherence to reinheitsgebot. I ordered the manly size of the Viennese Lager and was not disappointed. The other samples I tried were good too, but not something I would blog about. Go there, they adhere to reinheitsgebot for goodness sake. That's gotta count for something. Squatters was in the SLC airport- our last stop before leaving. The one beer that I tried (actually, I tried four) was brewed by Wasatch Brewery and not Squatters. 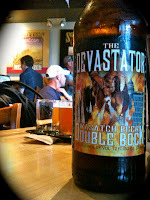 It was the Devastator Double Bock and man was it tasty. It was also 8% ABV, which causes me confusion regarding Utah's liquor laws. Perhaps only beers on draft must comply with the 4% ABV rule. Anyway, go to Squatters or Wasatch Brewery and pick up some Devastator. That about sums up my business trip. Now you know absolutely everything there is to know about all the beers in the entire state of Utah. Only 4%? That is just plain ridiculous but it explains why they would serve beer in such an awesomely gigantic stein. I have a business proposition for you: come on down to Hell, there are plenty of beers to drink down here. Wrestling with me while my pants disintegrate is a negotiable option. Disintegrating pants, you say? I'm in.